There’s no mistaking Werner Herzog’s voice. When the great German filmmaker’s drawl emanates from the screen, it’s instantly recognisable in its tone and rhythm, as well as its inimitable phrasing. Conveying his distinctive observations about the world, his dulcet vocals have resounded throughout his five-decade directorial career; however, he still bellows loud and clear even when he’s not speaking. Indeed, experiencing Herzog’s films is to experience a body of work stemming from a singular voice. Just as you immediately know when you’re hearing him talk, you know when you’re watching his features and documentaries. Herzog’s voice, both uttered aloud and infused in the fabric of his films, will echo throughout Brisbane’s Gallery of Modern Art between June 2 and August 19. For nearly three months, their Australian Cinematheque plays host to a feast of his cinematic efforts. In a line-up that boasts 31 of his own pieces, his first fiction offering, Signs of Life, sits along his most recent, Salt and Fire. A selection of titles in-between, as well as an array of his full-length documentaries, will join them. Providing context, commentary and colour, three others either about Herzog, peeking behind the scenes of one of his productions, or putting his familiar tones to use also in the program. How did his voice evolve? How has it changed since he helmed his first feature in 1968? What has it communicated over the years? They’re three of the questions that the retrospective endeavours to answer as it works its way through his career. With an obsessive approach Herzog would be proud of, The Wrath and Reveries of Werner Herzog turns cinephiles into investigators, tracking the ebbs and flows of his output. And, again mirroring the man himself, the program does so while eschewing the need to tackle its subject in a linear or straightforward manner. Commencing with Herzog giving voice to a plastic bag in Rahmin Bahrani’s Plastic Bag seems appropriate; it floats through the air of search of meaning, as audiences embark upon a similar journey through Herzog’s film catalogue. 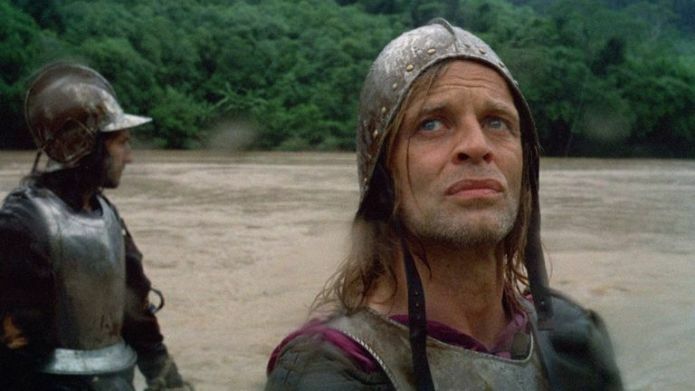 Opening night also features a dose of his latest thoughts on modern-day society in internet-focused documentary Lo + Behold, Reveries of the Connected World, as well his iconic first collaboration with Klaus Kinski, the landmark Spanish conquistador epic Aguirre, the Wrath of God. Together, they present a microcosm of Herzog’s impact: the sounds, the reflections and the stories. Production still from Aguirre, the Wrath of God 1972, director: Werner Herzog. | Image courtesy: Werner Herzog Film GmbH After such a fitting beginning, the rest of program plots a course for exploration — whether his early German New Wave efforts, his broad-ranging documentaries or his star-studded later fictional movies appeal, plenty are featured. Some, such as Aguirre, the Wrath of God, Nosferatu the Vampyre, Woyzeck, Fitzcarraldo and Cobra Verde, will give viewers the chance to watch in their original format, screening on 35mm film prints supplied by Berlin’s Deutsche Kinemathek. Elsewhere, early highlights include the comedic Even Dwarfs Started Small, the blend of fact and fiction that is The Enigma of Kaspar Hauser, and the Bavaria-shot and hypnotism-enhanced Heart of Glass. His first English-language film, Where the Green Ants Dream, remains of particular relevance for Australian viewers; set in the Australian desert, it’s partially based on the Milirrpum versus Nabalco Pty Ltd native title case, with Aboriginal activists among its cast. 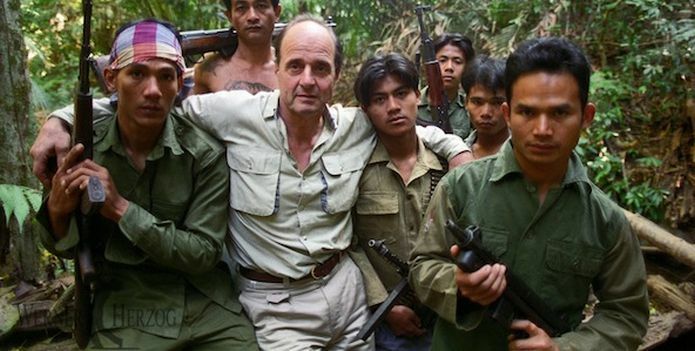 With Herzog’s factual features outnumbering his fictional efforts, documentaries comprise much of the line-up, though the pairing of Little Dieter Needs to Fly and Rescue Dawn helps bridge the gap between them. Examining the story of German-American pilot Dieter Dengler as both a documentary and a recreation starring Christian Bale, it’s the double-feature standout on the bill. Little Dieter Needs to Fly (1997). | © Little Dieter Needs to Fly Elsewhere in the factual cohort, cue portraits of people as distinctive as himself and surveys of sprawling lands, with both contemplating broader themes and concerns. In the first category, My Best Fiend dissects his working relationship with German actor Klaus Kinski, the captivating Grizzly Man chronicles the exploits of a bear enthusiast, and Into the Abyss tells the tale of a death row inmate. Among the second, Fata Morgana ponders mirages in the desert, Lessons of Darkness heads to post-Gulf War Kuwait, Encounters at the End of the World journeys to Antarctica, and Into the Inferno leaps into active volcanos. A number of his short films also feature, with Herzog’s voice as prominent when offered in small bursts as it is in longer forms. And, because sometimes the best way to truly understand a person is to experience them through someone else’s ears and eyes, Les Blank’s two famous pieces are pivotal inclusions. In Werner Herzog Eats His Shoe, Herzog’s willingness to do just what the title exclaims speaks volumes. In Burden of Dreams, which chronicles the troubled making of Fitzcarraldo, one of Herzog’s best-known efforts becomes a legend. 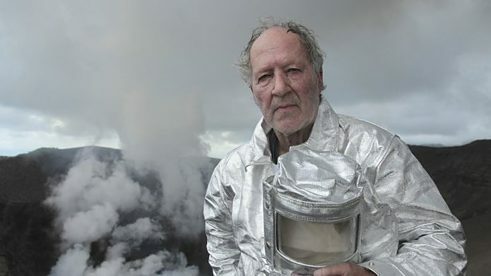 Of course, as The Wrath and Reveries of Werner Herzog demonstrates, Herzog and his unique voice have long enjoyed the same status.